Lead with Love is a heart-centered social impact organization committed to shifting culture from fear to love from the inside out. The world is full of fear. We see this expressed through separation, violence, oppression, greed, depression and suicide. We believe change starts within and we dedicate ourselves to "being the change we wish to see”. We work to raise consciousness within ourselves and become more aware, only then can we inspire others through honesty, integrity, authenticity and vulnerability to be empowered to Lead with Love. We believe a world based on LOVE is possible. It is the calling of our time to lead with love and empower others to do the same. We focus on developing heart-centered leadership, cultivating self care practices and integrating a supportive environment for personal and optimal wellbeing for all. The wellbeing of one is connected to the wellbeing of all. Project Wellbeing supports local businesses by consulting, assessing, designing and implementing wellbeing programs. Program elements include movement, breath work, and meditation. Serving others is our highest calling. We derive purpose from helping our community. Lead with Love is dedicated to service locally through subsidized wellbeing programming, trainings, scholarships and globally through humanitarian projects. 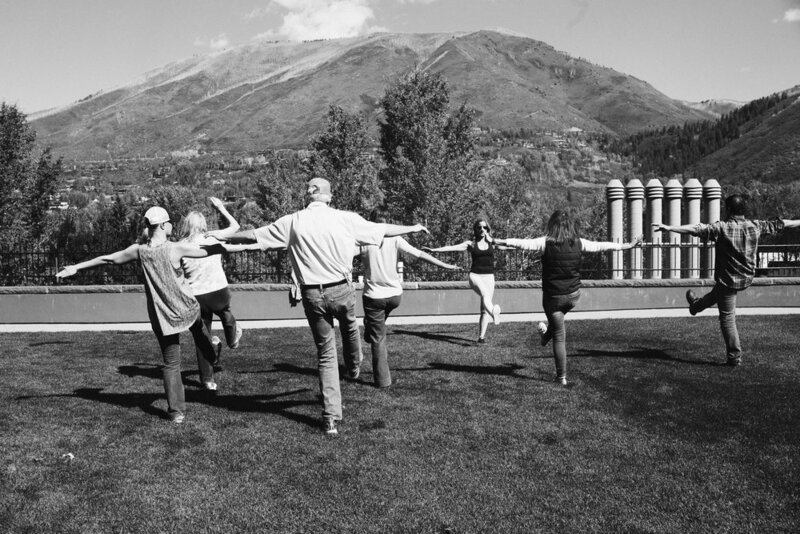 Project Wellbeing (formerly Aspen City of Wellbeing) was born out of a visit to Aspen by Dr. Deepak Chopra in January 2014. Deepak was presenting a lecture on Self-Directed Biological Transformation at the Aspen Institute and his appearance was sponsored by Project Wellbeing Founder, Gina Murdock, and her husband Jerry. While touring the city of Aspen with Gina, Deepak remarked that due to its natural beauty, intellectual capital and financial abundance that Aspen could and should be a "city of wellbeing". The Lead with Love Leadership Summit is the global gathering for heart-centered leaders featuring movement, meditation, conscious capitalism, time in nature, experimental & immersive workshops & talks, music, art & a renewed focus on social impact and business as a force for good! The leadership trainings, presented in person and online, are offered to members of the Leadership Circle, an ongoing learning and discussion group. The goal of such trainings is to foster deep connections and accountability, and to help participants answer the call to be of service to something bigger than themselves. Special guest facilitators have included Drs. Ron and Mary Hulnick from the University of Santa Monica, Yogarupa Rod Stryker, Ashley Turner and other luminaries from the Lead with Love network.